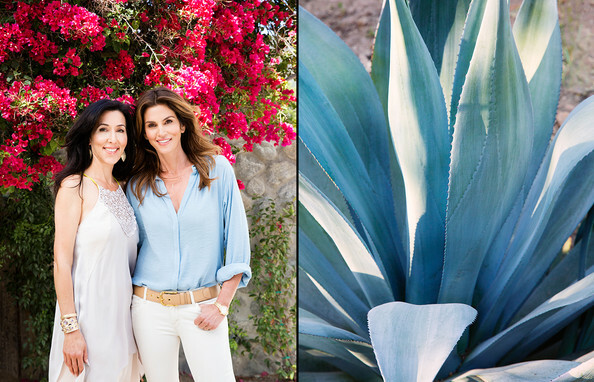 Urban Remedy founder Neka Pasquale and board member Cindy Crawford, pictured here on location in Malibu, California, are not only business collaborators but friends. Pasquale wears Anna Beck jewelry. Crawford's blouse by Maje, jeans by Mother, belt by Prada, necklace by Maya Brenner, and watch by Omega.